Buddhist pilgrimage with Taj tour is a blessing for everyone who loves India. Our Taj and Buddhist pilgrimage tour treats you with Indian history and Buddhist religion. 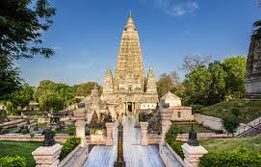 Buddhist pilgrimage tour packages remain extremely popular among international travelers, and we have added Taj Mahal tour to it to make it more rewarding. 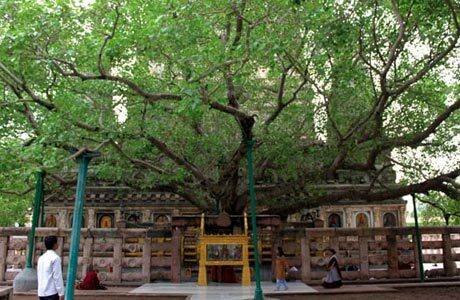 Buddhist pilgrimage with Taj Agra tour takes you to enchanting places like Varanasi, Bodhgaya, Patna, Rajgiri, Agra, etc. 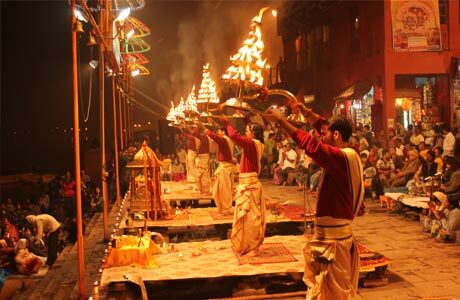 Walk down the memory lanes and achieve mental solace with our Buddhist pilgrimage tour packages India. So, take this Taj with Buddha tour and experience the best of India. Arrive Delhi. Meet on arrival by our Company representative. Proceed to hotel and relax. Overnight at Hotel. Early morning proceed to Agra by Shatabdi Express Train (dep. 06:00 / arr. 7:55 hrs). 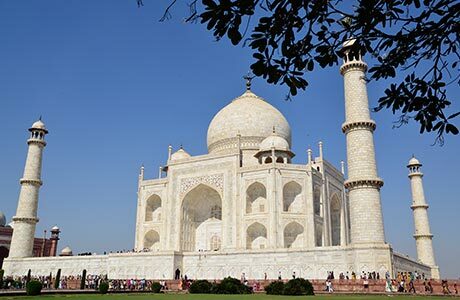 Later leave for sightseeing of the city visiting Taj Mahal - The Monument of love, built by Mugul Emperor Shahjahan in 1630 to enshrine the mortal remains of his queen Mumtaj Mahal. Later visit Agra Fort dominated by red sandstone construction & houses the beautiful Pearl Mosque and other noteworthy structures. Evening is free for shopping. Overnight stay at hotel. (Taj Mahal is closed on Fridays). 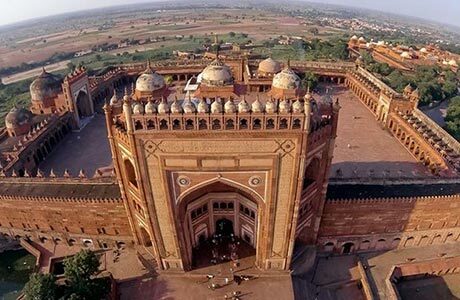 After breakfast drive to Fatehpur Sikri (45 kms) and visit the old Mughal capital, still preserved in good condition. Later transfer to Agra Fort Railway Station to connect train # 4854 /4864 Marudhar Express (dep. 21:15 hrs.). Overnight on board. Arrive Varanasi in the morning and transfer to hotel visiting Sarnath enroute, the place where Lord Buddha gave his first sermon. Afternoon proceed for the city tour visiting various temples including The Vishwanath Temple, built by the Birlas, was planned by Pandit Madan Mohan Malaviya. The Bharat Mata Temple houses, instead of gods and goddesses, a huge relief map in marble of the whole of Indian subcontinent. 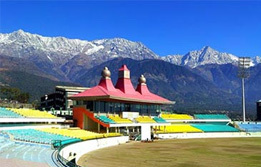 The Tulsi Manas Temple, built in 1964, is dedicated to Lord Rama. Evening view "Aarti" ceremony on the Ghats. Overnight stay at the hotel. Morning drive to Kushinagar, enroute visiting Vaishali. On arrival check into hotel. 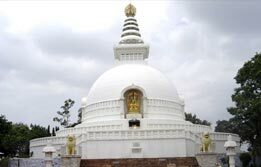 Later visit the Rambhar Stupa - which marks Lord Buddha's cremation ground. 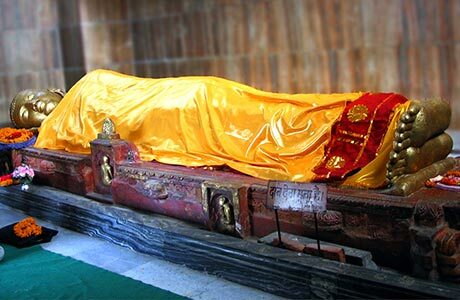 Our second stop is Mahaparinirvana temple - which houses the recumbent figure of Lord Buddha. Overnight stay at the hotel. 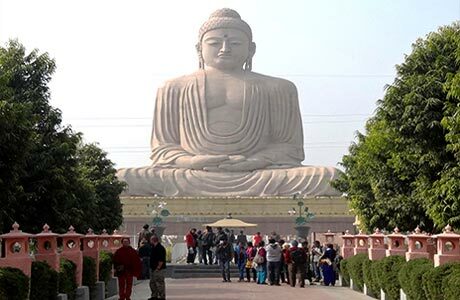 Leave Kushinagar by road for Lumbini (170 kms / 5 Hrs) - the birthplace of Buddha and is located just a few kilometres inside Nepal. 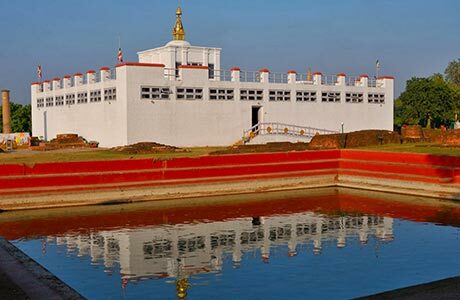 Sightseeing tour of Lumbini and thereafter leave for Sravasti by road (225 kms / 6 hrs). On arrival transfer to hotel and overnight stay. Morning visit to Sahet & Mahet -15 kms from Balrampur and the capital of the ancient Kingdom of Kosala. 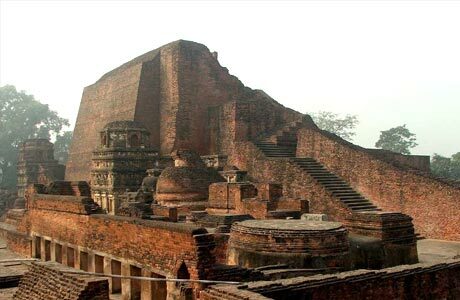 Sravasti has the honour for sheltering Buddha for 24 rainy seasons in the Jetvana Vihar and has the famous Anand Bodhi tree, age-old stupas, majestic monasteries and several temples. Buddha is said to have performed some miracles here. After sightseeing leave to Gonda Railway station to board train for Delhi. Overnight on board. Room on twin sharing basis at each place as per itinerary for total 10 nights. Hotel check in / out 12:00 hrs.